Cathedral was one of the first games to develop gameplay about placing Tetris-like pieces in a pattern. 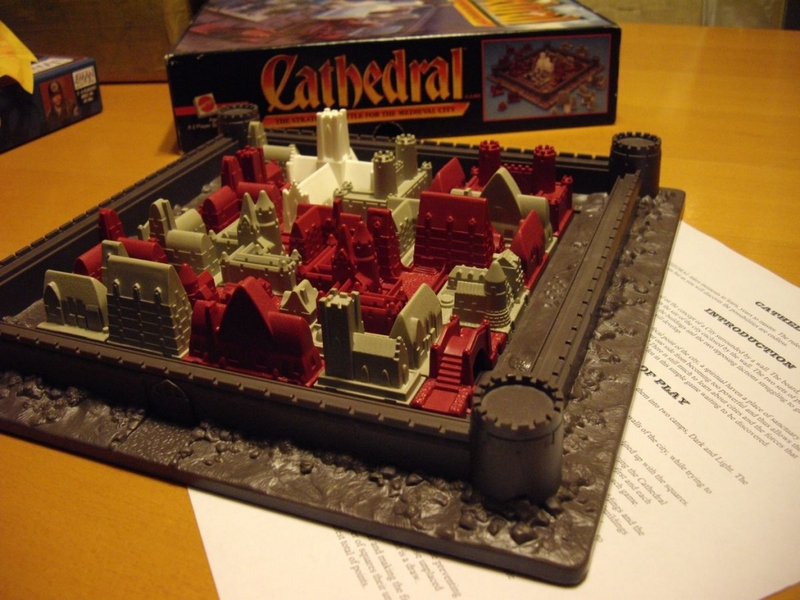 Cathedral is a strategy game with tile placement and area control mechanics. The goal of each player is to place as many of their buildings as they are able. Points are scored based on the size of buildings remaining once no moves remain. But, like golf, points are bad and whichever player has the lowest point total wins. While it was originally published in the 1978 by Brightway Products, a New Zealand company. 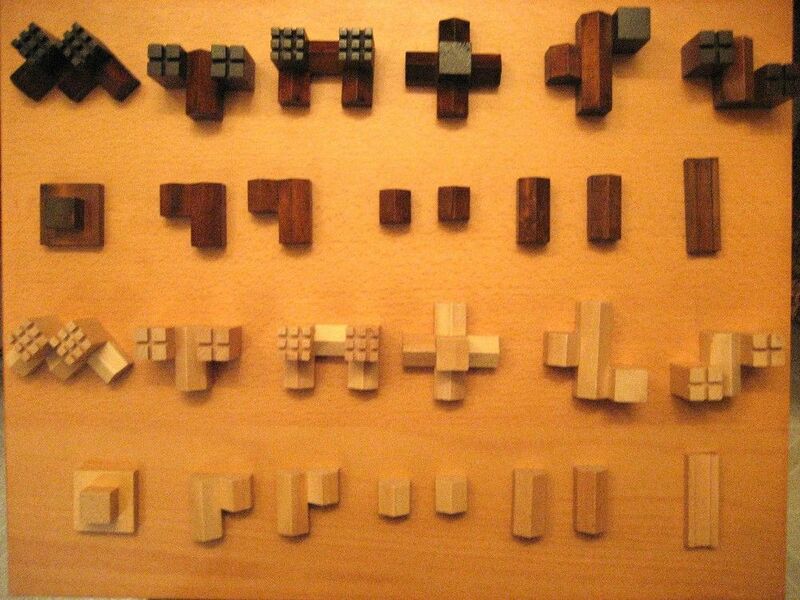 They produced a 3D version with wooden pieces and a version with just flat and abstract pieces. The 3D version was far more popular and set the standard for the future publications for the game. In 1985, the game was published by Mattel using plastic pieces. 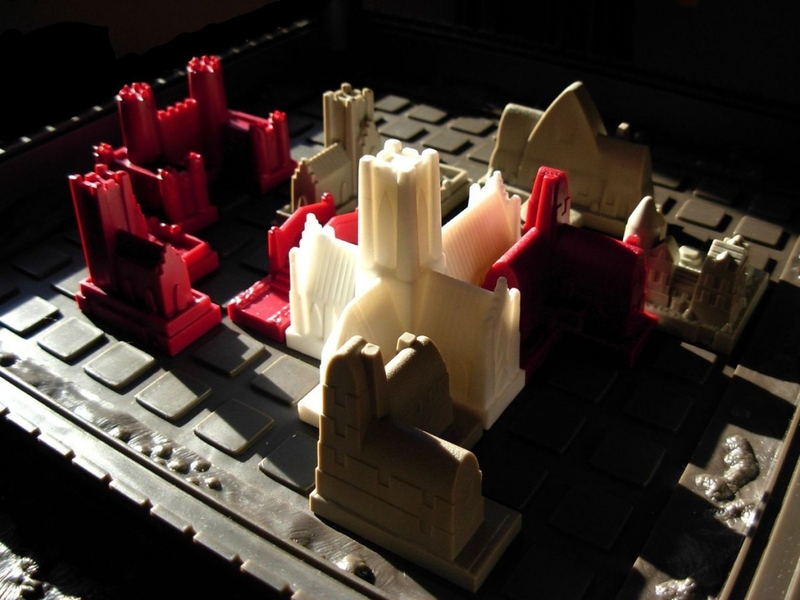 At the start of the game, the first player places the white cathedral piece. Then players alternate placing a building on the board. Simple enough. If you’ve played games like Blokus this will all seem familiar. 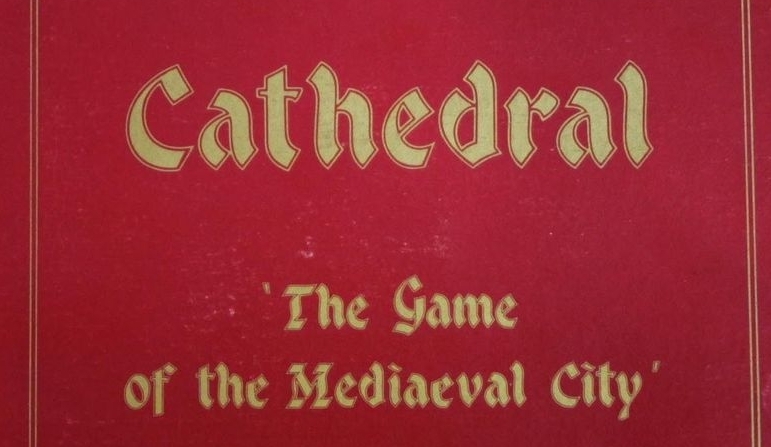 What separates Cathedral from similar games is the ability to capture territory. Any time a player completely surrounds a space with their own buildings, they claim that space and the opponent can’t place buildings there, although the owning player can. Remember the goal is to place as many of your buildings as possible, so this is a large advantage. On top of that, if a player surrounds 1 of an opponent’s buildings then that building is returned to that player and the space is claimed. However, if 2 or more buildings are surrounded, only 1 building is returned and the space is not claimed. This is true even for the cathedral, although it would be very difficult to do so. Once players can’t place any more buildings, they count their remaining, unplaced buildings. Each scores 1 point for each space that building takes up on the board. After a preset number of games, whichever player has totaled the fewest points wins the match! Cathedral is a simple and enjoyable game. It’s nothing wild and crazy and isn’t going to provide any deep strategical brain bending moments. But that’s not always what you need. It’s a fun and straightforward game that will occasionally give you those moments of claiming some area that your opponent didn’t see coming. If that’s what you expect, you’ll have a good time playing Cathedral.